Good morning! It's Tara here and today I'm sharing another way I like to use my Pocket Life kit - for faith journaling. I love how versatile our kits are; you can use them in so many ways and tailor them to fit your needs. I love this journaling card that was in our "Beach Glass" Pocket Life kit this month. 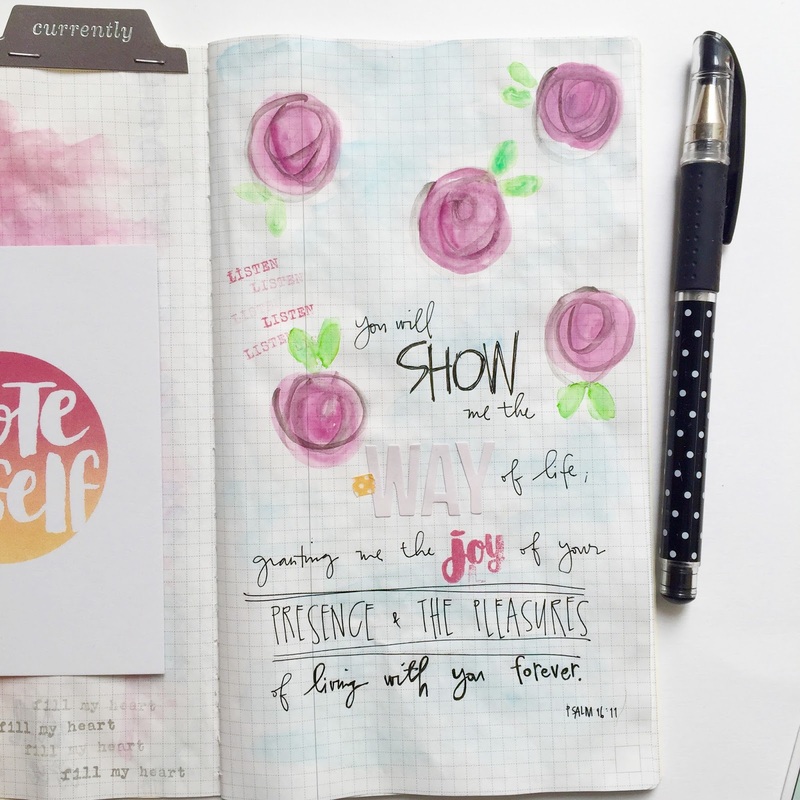 Our very own Diane, created this lovely brush lettering found here and in the stamps as well. The washi tape is from my stash. I love flip cards! You can add extra writing or hide it for only you to see. I used some watercolor to make a few roses. They are far from perfect and a couple aren't my favorite but I'm embracing the imperfections. Then I did a wash of blue throughout the page. I also added in the GraceBox v2 stamp here and there. Again, loving the word "joy"! It actually was from the phrase "joyful heart" but I made it work. I really loved the Simple Stories white alphas that were included in April's PL kit, so I added them here too. I used a die cut tab from the "Currently" die cuts included in the May PL kit. I'm reading a mini study called Unshakeable Moms. 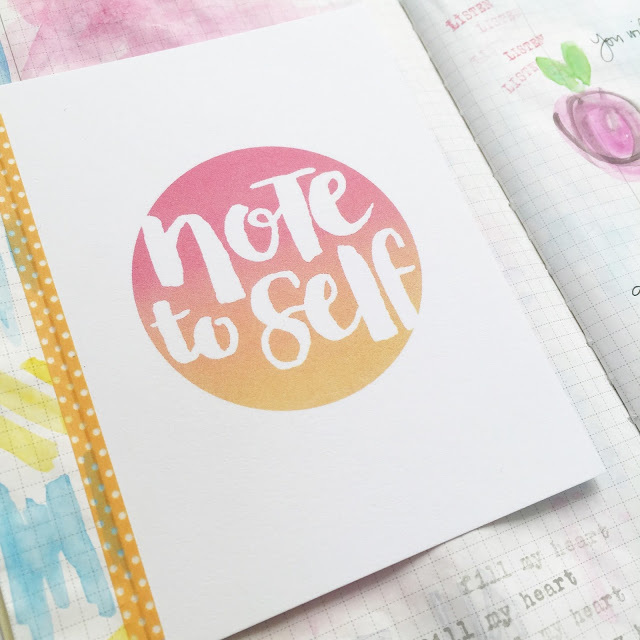 I took a few notes that really spoke to me behind the journaling card. These words are a reminder to help me focus on how I'm refueling myself and what I should be filled with. Thank you for stopping by! We would love to see the different ways you use your kits. You can share it with us in our Gallery and Facebook Fan Page . Wow I really love your handwriting! Lovely journal!